LONDON – Held to an almost superhuman standard, Gennady Golovkin will hear it all in the coming days. He’ll hear how he lost rounds, how he was hit more tonight than he’d ever been hit before, how he was marked up, how he got ragged and missed with hooks and how he was made to look human. Yet, despite all this, despite the newfound chinks in his armor, the man known as “Triple G” still suffocated welterweight titleholder Kell Brook this evening at London’s O2 Arena, he still disfigured and rearranged his face, he still won by stoppage before the halfway mark and, yes, he is still the undefeated middleweight king. Factually speaking, brave Brook was stopped in Round 5 of a swashbuckling affair and boasts the face to prove it. 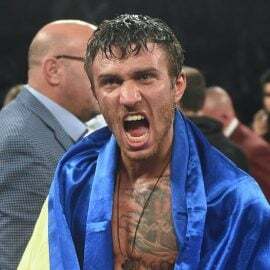 For him, the welterweight titleholder who dared to dream, things turned ugly real quick following a promising first three rounds which saw him match the feared Golovkin punch for punch. 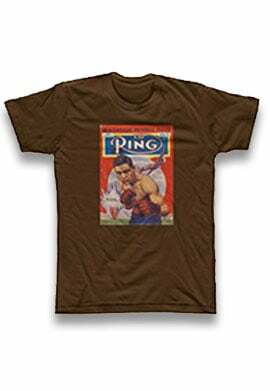 Rest assured, this wasn’t vintage Golovkin – not immediately, anyway. There was instead the sense he had to get accustomed to his surroundings before really getting down to work. It was, to the smiling assassin, unusual to be booed en route to the ring, for example, and for this overwhelming feeling of animosity to continue through the introductions and into the fight. It was also strange for him to encounter a man in Brook who was not only full of self-belief but able to act on this confidence with speed, smarts and a variety of clever counterpunches off the back foot. 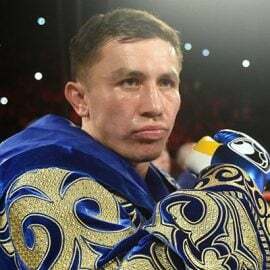 Not only that, Brook, Golovkin soon realized, wouldn’t just land on the champion and then stand off either to admire or apologize, he’d actually follow up – throwing some more, landing some more – until he believed he’d made an impression on the stoic Kazakhstani. Thus, just as middleweight was new to Brook, this was all new to Golovkin. What wasn’t new, however, was the way in which Golovkin started the contest. Aggressive, on the front foot, mode switched to seek-and-destroy, he set about Brook early and dazed him with a punch in the opening exchanges which had the Sheffield man momentarily on ice. He swayed back and forth, he looked to hold, he remembered all the ghastly testimonies of many others who had shared a ring with Golovkin and sampled his punch power. So this is what they meant, he must have thought. Still, credit to Kell, he sucked it up at a time others might have cowered or buckled or hit the deck. 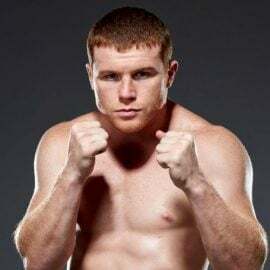 He also soon got his jab, the scourge of many welterweights, working and the weight it carried and the distance it created allowed him to settle into the contest and simultaneously disrupt Golovkin’s rhythm. Scrap that. It disrupted his assault. You see, Golovkin, at this stage, cared little for rhythm or setup. 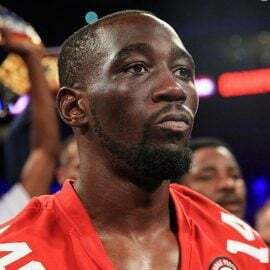 He’d hurt the welterweight in his midst within seconds of the bout starting and was now damn certain he was about to end matters conclusively, the way he was expected to, as is his custom. 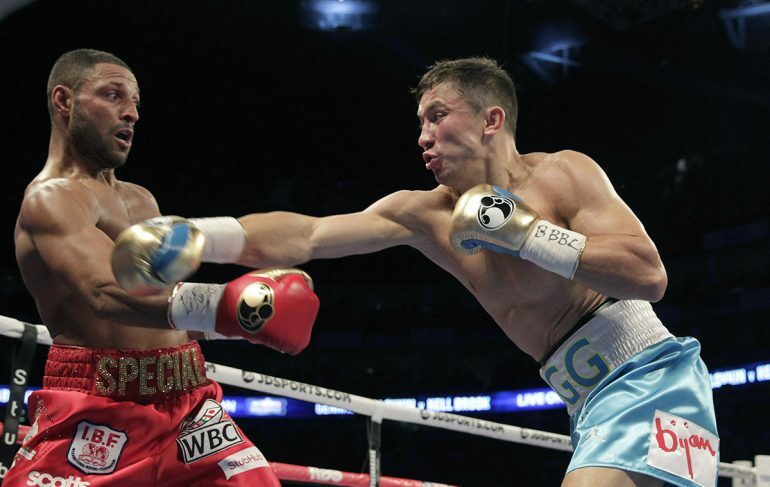 This meant that while Golovkin was overdosing on long left hooks and jackhammer right hands, all designed to take Brook’s head off his shoulders, the fleet-footed challenger was focusing on making the champion miss, touching him with the jab and then, when spotting an opening, unloading an assortment of subsequent shots. These moments were soundtracked by a roar from the sold-out crowd of 17,000. They allowed the locals to hope, to believe. 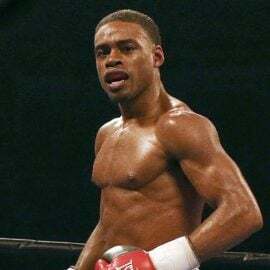 They were also moments testament to Brook’s bravery and his ambition, for most men who nail Golovkin with a shot – granted, a shot he more often than not gives them – tend to retreat and consider themselves lucky just to land the one. Brook was different, though. He picked out a good uppercut in Round 3 and then traded brutal right hands with Golovkin in close. He stepped back only to create further openings. There was no running. There was no attempt to flee. Indeed, it seemed Brook’s game plan was to stand in the pocket with Golovkin and use his superior hand speed to beat his heavier-handed foe to the punch. In short, make it quick. The punches, the fight. Triumph amid chaos. Golovkin could respect it. That was clear whenever he nodded his head upon Brook landing a decent shot on him; it was, one suspects, a nod in appreciation of the sheer audacity of the supposedly smaller man in front of him (as it turned out, Brook weighed 168 pounds on the day to Golovkin’s 167.8). This audacity made for a great first three rounds. The third, in particular, was wild in the best way possible. It featured both men standing toe-to-toe and landing hurtful blows and Brook getting nasty with arguably the biggest puncher in world boxing. It was gutsy stuff. It was backed up with method, too. Brook wanted to force Golovkin to respect him. But the price to pay far exceeded the potential reward. Brook, 30, no longer looked like he’d moved up two weight divisions. He looked like he’d been in a car crash. His eye was horribly swollen – eye socket apparently fractured – and his nose was also busted and bleeding. Interestingly, though tonight Golovkin probably missed more punches than ever before, his economy rate is a moot point when the punches he does land cause so much irreparable damage. Body shots, just a few, slowed Brook, winded him and at times stopped him dead on the ropes, while head shots wobbled him, deformed his face and eventually brought about the end in Round 5. In truth, rapidly Brook’s game plan had changed. It had diluted. He’d gone from refusing to let Golovkin throw without taking something back to now simply looking to avoid and escape. It was a noticeable shift in mindset and one which owed to the hurting Golovkin had gradually been putting on him. In the fifth, with Brook on the ropes and no longer looking to respond with counters, Golovkin anticipated his moment had arrived and worked both hands in typically robotic style, crunching shots high and low against Brook’s head and body. Brook then held out his arms, as if sunbathing upright, and grabbed the top rope. It was seemingly a sign that he was okay. Not hurt. Bravado. Yet it also served to antagonize Golovkin further. Soon enough Brook was hurt. 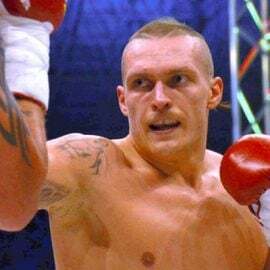 Soon enough Dominic Ingle, Brook’s trainer, clocked the damage being done to his man and began frantically waving the white towel, a fight-ending gesture detected and acted upon by referee Marlon Wright much, much too late. The result was all the same. Golovkin, 34, scored the 36th win of his professional career and a 23rd straight knockout. Brook, meanwhile, defeated for the first time in 37 fights, will take heart from the fact he had more success against Golovkin than anyone else and will one day thank his trainer for saving him from himself. And from the fists of Gennady Golovkin.